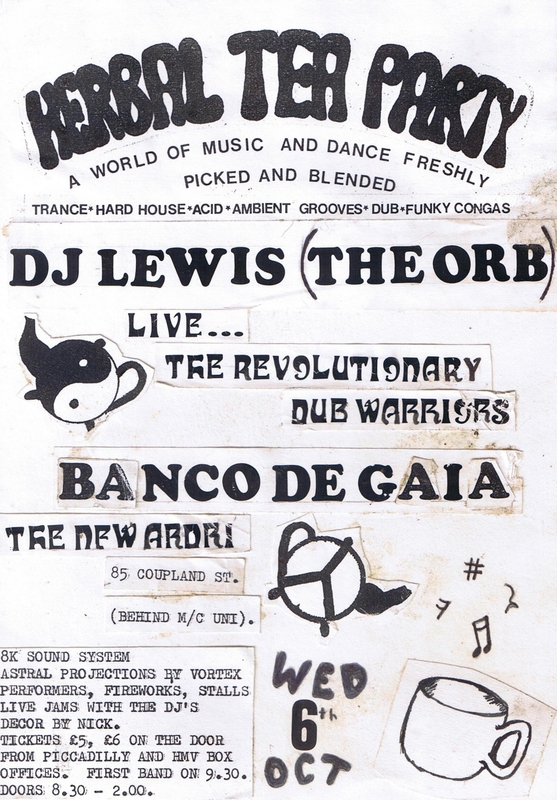 Flyer for Herbal Tea Party at the New Ardri 6th October 1993. DJ Lewis and resident Rob Fletcher. Techno, tech house, acid, progressive house, minimal, electro, dub house. Tasty - was this the paste up for the flyer?